I have an enduring memory: I am driving in the car with my Dad. We are en route to his chemotherapy appointment and are listening to the radio. “Fire and Rain” comes on, to which my Dad exclaims, “that’s my man! 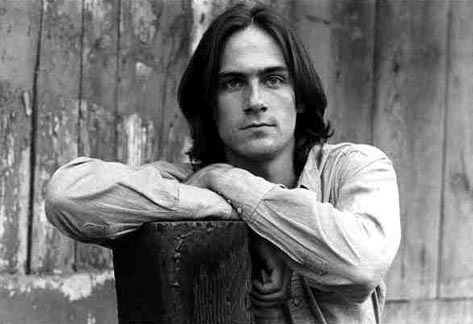 James Taylor.” I regard my father with a huge smile on my face and tell him that, yes, he’s my man, too, that I also love James Taylor. I tell him it must be genetic, to which he laughs and agrees. We listen to the song in appreciative silence, after which I promise to make my father a CD of JT’s greatest hits. For several reasons, the memory is quite fresh in my mind. Why? I’m in a JT mood and am presently listening to some of my favorite songs by him. Second, it is one of many moments I enjoyed with my beloved father before we lost him to cancer. Lastly, it’s a sweet reminder of how both my parents shaped my love of music. Another one: sitting on my sister’s bed (her bed was so neat and clean, and mine…well, mine was going through a disorganized chaos period. Like Picasso and his blue period. It was art, you see, never making my bed and piling mountains and mountains of clothes on there. Oh, my artistic past), listening to *this song on my cd player (so archaic, I know), and weeping like a little child. I couldn’t stop crying. The song was moving me in places I couldn’t really understand and evoking feelings that simply boggled my mind. I was identifying with the song, but wasn’t sure how or why. (I do now, though. That’s for another post.) The only way to respond to that kind of stunned feeling was through streams and streams of tears. And that’s what I did. Cried and pressed repeat. Memory #676: making my way through a crowd of millions, it seemed, to see James perform at an Earth Day rally in Washington DC. I was about 20 years old. And I squealed when he came on stage. This one: watching James and one of my other big favorites, Carole King, perform “You’ve Got a Friend” at a televised reunion concert at the Troubador last year. Yeah, I cried. It was gorgeous and emotional. Ooh, these memories: moments when I would recognize that the lovely, melodious voice in the background of some of my treasured JT songs, like “Shower the People” and “How Sweet It Is (To Be Loved By You)” belonged to Carly Simon, one of my other favorite favorites (I have a lot). It made me giddy because they were married at one time and that fact inexplicably thrilled me. Why? Couples working together? Hearing my two favorites blend their voices in sweet harmony? Who knows? I loved it all the same. Speaking of “How Sweet It is…”, another terrific memory: playing the song repeatedly for my little brother and hearing his infectious, toddler-y giggle when James says, in the middle of the song, “it’s like jelly, baby.” Oh my goodness, it was so cute. That kid. Memory #5,112: Still in love with that face to the left. Never gets old. This one: when autumn comes, I think of James Taylor. Likely and largely due again to *”Walking Man,” which has lyrics that bring everything I love about autumn (the air, the leaves, the orange) to the fore. In addition, songs like “September Grass” and “October Road” pretty much solidify it for me. Autumn, James Taylor, one and the same. It’s amazing, to have loved an artist your whole life. Since I was a kid—sitting in my uncle’s car, whizzing about New York City and hearing “Handy Man” on the radio and being instantly hypnotized—to now, when I get daily, online updates about JT. I need to keep track! 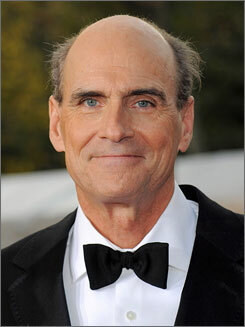 One day, I’d like to meet James Taylor. After security warns me to stop hugging him, I’d like to tell JT about that afternoon in the car with my father, when hearing him exclaim, “that’s my man!” filled me with so much happiness that I almost let go of the wheel to hug my Daddy. I’d like to tell him that whenever I hear him sing now, I always think of my father. Then JT will sing, I’ll cry, and I will make yet another memory. Until then, I’ll press repeat.